The Dorians were the tribes who spoke the Doric dialect of Greek. They settled Greece between 1100 and 1000 BC. They had a military ruling class that oppressed the local people, and they retained this rule by an aristocracy in Sparta and Crete even after the Greeks established democracy in Athens. 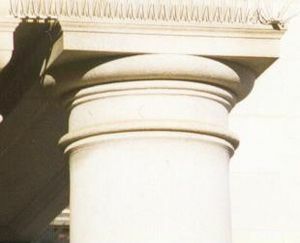 The simplest form of Greek architecture, consisting of a straight column without any artistic trim at the top, was created by the Dorians and is known as the Doric order. This page was last modified on 30 June 2016, at 12:10.